This is a UK based dating site that aims at giving its subscribers the ability to access thousands of people in order to make a connection. It is one of the most popular dating sites in the UK and the number of active subscribers only keeps growing. Does it work? Is it legit? Is it a scam? In this brief but nonetheless detailed article we answer all this questions. It is pretty straightforward and will only take a few minutes. Aside from the few long form answers the rest are straightforward questions that are answered by checking a box for what you most prefer or are looking for in a potential match. The short form questions include dislikes, likes, hobbies, habits and interests so that the profile is as comprehensive as possible. Signing up is perhaps the most important detail to know when considering joining any dating site. The only challenge is that it requires a few long form answers which can be cumbersome. It is your option to answer the questions. Only the basics such as gender and contacts are compulsory. While this can be strenuous, you only need to do it once. The added advantage is that you create a detailed profile of yourself so that you can be matched with potentials who meet the criteria you are looking for. Additionally Udate.com has an extremely useful feature and highly beneficial feature that will help you match-up up by tagging your profile with specific adjectives. Basically, this is a simplified an effective way of matching you up with persons who suit the criteria of what you are looking for. The adjectives can be either hobbies physical attributes or even personality traits. If you are a paying member you can also attach a brief video greeting along with photographs, this gives your audience a better idea of who you are. The best thing about Udate.com is that the site is extremely simple, easy to navigate and minimalist. Yes, there are hyperlinks scattered all over the site but they are strategically located in a way that does not make the site too hard to use. Additionally the font is also kind of awkward because there are too many icons just moving around the text. This makes it harder for a user to use the site if they are not familiar with it. That said; it is impossible not to mention just how easy it is to navigate Udate.com as compared to other similar dating sites. While there some aesthetic issues that need to be handled, the technical part is exemplary. All the links work well and anyone who has access to the internet can use this site without any issues. Even a beginner will get the hang of it easily. Once you have used the site at least twice you will realise just how easy it is to navigate. 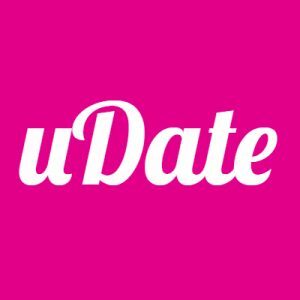 Like other well established dating sites making waves in the industry, Udate.com does not specifically provide a standard pricing guide to the services that they offer. Apparently the prices on this site does not openly publish what they charge since payment is based on the length of subscriptions, promotions and type of service that you want to get from Udate.com. This is a huge disadvantage and definite red flag because most people want to know exactly what they are getting into. Not knowing the exact price is a huge disadvantage to a users and quite honestly also to the site because it reduces audience trust substantially. What are the PROS of Udate.com? This website has one of the most populous active subscribers in the UK. There are many subscribers drawing from all kind of men and women. This diversity makes it easier to be matched with exactly who you want and are looking for. There is no discrimination on this site whether you are a voluptuous man seeking a big woman or the other way round there is something here for you. Udate features a simple and minimalist design that is quite easy to navigate even for a beginner. All you need is a connection to the internet. The randomly placed hyperlinks will guide you throughout the sign up process. The reviews from previous users are positive and promising. This means that there is a real short at meeting someone honest and authentic whom you could actually establish a serious connection with. This is the reason Udate remains one of the most successful dating sites in the UK. Udate.com is currently one of the most trusted UK based dating sites. Their thorough screening process helps to eliminate potential scammers. Essentially, the screening will help ensure that a user is a real person intending to meet and interact with other people. Like any other dating site, you have to make a payment in order to communicate to potential matches. While this may be taxing on your side, it is a great investment if you are looking for lasting friendship or possibly long term commitment. Like any other dating site there are many people who are genuinely looking for a serious relationship, sincere friendship or long term commitment. However, there are Unscrupulous people who are simply looking to scam people and take advantage of person genuinely looking for love or just a fun time. Close to 65% of the active subscribers in this movie are men who are looking for love, fun or a chance at long-term commitment. It is all about creating an elaborate profile that attracts a person with similar interests as yours. There are restrictions, anyone can sign up whether you reside in the UK or not. It is open to everyone. It is just based in the United Kingdom not restricted to persons outside UK. Aside from the website being quite easy to navigate, the messaging system is also extremely easy to use. It is not any different from other dating sites. When it comes to membership it is absolutely free however to send messages and communicate with potential marches you must make a payment. Premium account members are able to have their messages translated into the native tongue of the person they are trying to communicate to. Users are able to report any inappropriate behaviour, block other members as well as show interest in who they want to potentially communicate with. Informing someone you are interested in them is as simple as clicking a specific button that alerts suitor you are into them. Free trial members are only able to message users with premium accounts. Free trial members cannot message other free trial members. Udate.com is undoubtedly great dating site if you are looking to make a connection whether it is for love, friendship, a casual fling or a long term commitment. In this time it has established legitimacy as one of the most reliable UK based dating sites. Hello, and Welcome To Romance Scams. Back in 2015, I was scammed by an online “dater” for over $35,000 and I was heartbroken and almost broke. I created this dating watchdog site to help others like me avoid this disaster before it is too late. Altogether we have helped over 50,000 users avoid being scammed online. This site will give you tips on how to avoid being scammed and recommend trustworthy websites to date on. If you are dating someone online and unsure if they are real or a scammer read my article here to verify who they are.